"I did not want to go back to London to work so have dived headlong into a new career. I'm proud to say some of my previous life has proved useful although I no longer have a team of people to help. I used to be Head of Sponsorship for Pepsi Europe in a former life with a full 'through the line' agency team. Now it's just me and my husband since Feb of this year (ex Sales Director)." 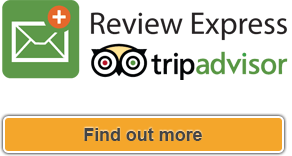 Great TripAdvisor reviews have propelled the White Lodge B&B into the number one spot out of 40 B&Bs in the Lewes area. Furthermore, Ann also instigated the launch of the Together site ShortStayLewes with a number of other like-minded accommodation providers. "Our local B&B group refused to move with the times and allow willing members to take group online bookings. Benetta, a colleague and an avid freetobook fan, had been trying to persuade them for some time. Getting nowhere, we decided our only choice was to set up a new group this summer." "We wanted a group site that allowed online bookings as we all felt helpless when guests rang seeking accommodation all we could do was offer them some phone numbers and a good luck! So our new accommodation group was born out of a clear need to offer quality fabulous accommodation to our guests, to find them immediate availability via our one stop website." "Our new group ShortStayLewes was launched to protect and celebrate our independent businesses. Lewes is a fiercely independent town and we are blessed with guests travelling from around the globe to come to Charleston, The South Downs or the world famous Glyndebourne Opera - we wanted to retain our direct bookings and support each other and not have guests check into the new all shiny Premier Inn!" Talk us through the setup process? "Launching a new group in the height of the summer season was challenging but we set up our group, our constitution, bank account, our roles etc when we found time in between breakfasts, cleaning and shopping to build the website. Working with Iain Stewart at freetobook was straightforward however we did set him a few new challenges as we did not use a website designer …we built it ourselves using Wix. This required a bit of trial and error to get it off the ground but we got there in the end." "We had to support a few of our new colleagues in the changeover or in the case of some, a new launch of an online booking engine on their site. The freetobook system is very intuitive so it was great to get everyone off the ground. What of the results of the Together site? "We had only launched a week and already there were four bookings using the site! It's still early days but we are really pleased to be keeping any potential business within the group. So a good start but it's only the beginning and will stand us in good stead for next season. It's very satisfying knowing that a booking you may not be able to take goes to a good home." What are your future plans to promote the group site? "We need now to further develop the website and promote it to new local likeminded businesses using email marketing and leaflet drops. Our first print adverting will be in the Cliffe 2016 Bonfire Magazine and we hope to have a follow up campaign in local press and with the tourist board. There is still much to do and plan but it's very exciting for all involved. We are just taking a deep breath after the summer madness and are delighted where we have got to as a group in such a short space of time!" "Last year, our first year of the B&B business, our bookings were 52% channel mostly via booking.com with only a few from Expedia and the rest direct. Thankfully this has reversed around the other way round for this year and I hope this trend continues. "Using the channel manager remains important for the businesses especially for those B&B's out of town in the quieter months. Plus who has not used booking.com? It's easy, however guests are shocked about the level of commission so happily rebook direct! Booking.com is the main channel for our B&B with Expedia bringing in only a handful of bookings per year. 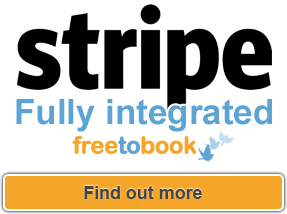 "Freetobook is excellent – I have loved it since the day I first started in Feb 2015. The software is intuitive to use and using examples and videos on the site I managed to set it up without too many help calls to the lovely team. "The proof of freetobook's success with our group bookings site is that we have added three new members and they all love it too. It's fab for managing our businesses day to day even if you're out and about. It keeps the accountant happy too – our reports are done in a flash!" We are always keen to hear of freetobook's new innovations." 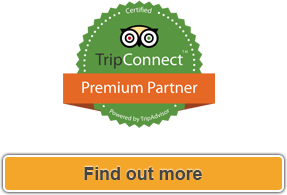 "We wanted a group site that allowed online bookings... So our new accommodation group was born out of a clear need to offer quality fabulous accommodation to our guests, to find them immediate availability via our one stop website."